Skye Gravestones | Malcolm & Ann (Montgomery) Campbell. Malcolm & Ann (Montgomery) Campbell. 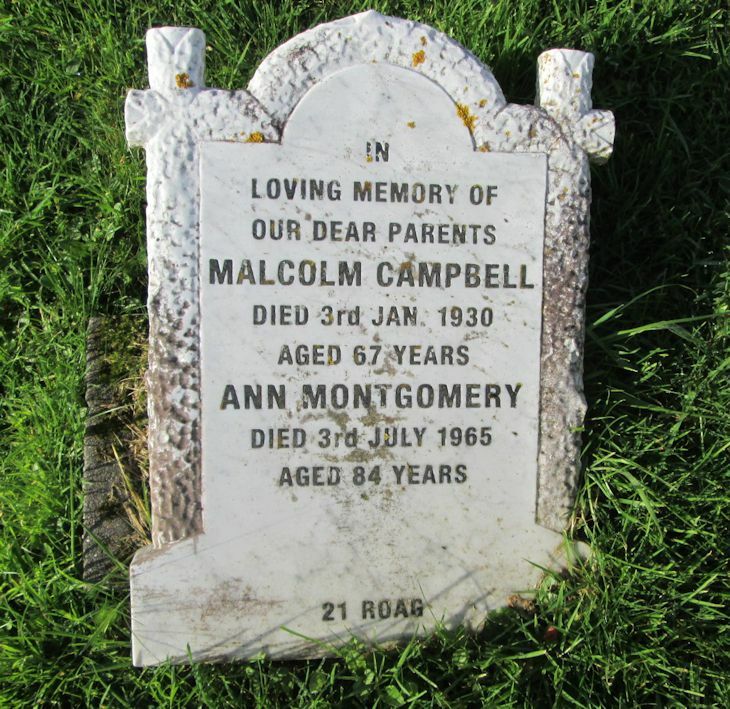 In/loving memory of/our dear parents/MALCOLM CAMPBELL/died 3rd Jan. 1930/aged 67 years/ANN MONTGOMERY/died 3rd July 1965/aged 84 years. Picture Added on 02 May 2014. My Great Grandmother's cousin and wife. Added by Christine Nicolson Ramsay on 05 August 2016.